“The Registration called upon young Indian research scholars who are affiliated with universities, research centres and think tanks in India and abroad,” said the announcement. With the backdrop of the centuries-old relationship of Guru and Chela between Tibet and India, many young Indian students and researchers are taking interest in Tibetan studies. This conference primarily aims to connect, build networks and strengthen research interest in Tibetan studies. Sonika Gupta is an Associate Professor, Global Politics and China Studies, China Studies Centre, IIT Madras, Chennai. The conference has seen registration by 22 young Indian scholars consisting of five Assistant Professors, thirteen PhD students, and several MPhil students. 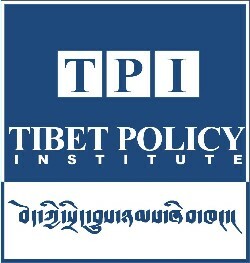 Tenzin Lekshay, the deputy director of TPI said the goal is to bring together the Indian scholars studying Tibet and to try to get Tibet studies included in the syllabus at the university level in the future. The three-day conference will cover seven major themes and presentation of papers by each participant. Some of the papers to be presented include studies like Indo-Tibetan Relations in Dehradun: Case Study of Guru-Chela or Journey of Mutual Dialogue? Multiculturalism: Understanding Tibetan Refugees Struggle to reclaim identity, Implications of Ramayana in Indo-Tibetan Interactions: a study, Impact of Modernization on Different Sects of Buddhism in Ladakh (India), among others.